Give your birthday boy or girl the gift of a party they’ll remember for years to come when you print Happy Birthday Chevron Invitations and send them out in advance. 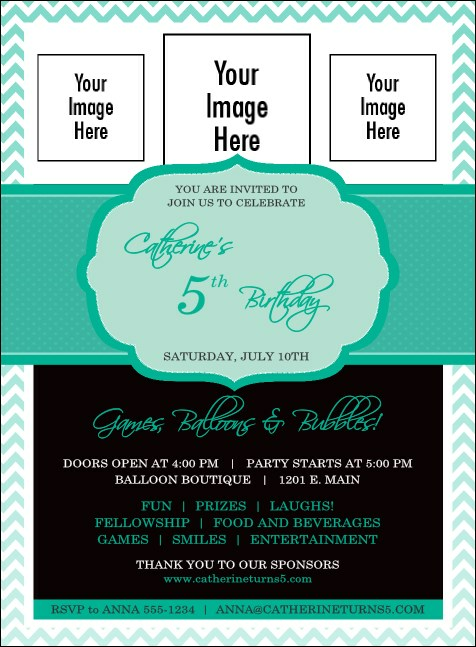 Get your guest list rowdy for the big bash with Invitations that feature a detailed turquoise layout with space to upload three personal images on the template. TicketPrinting.com helps you throw a party like a pro.